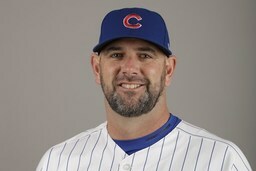 BALTIMORE (AP) The Baltimore Orioles hired Brandon Hyde to be their new manager Friday, hoping his experience as Cubs bench coach will help the team move forward while in rebuilding mode. Hyde takes over for Buck Showalter, who was fired after Baltimore finished 47-115 - the worst record in the majors. This will be Hyde's first stint as a major league manager. "Brandon's deep background in player development and major league coaching - most recently helping to shape the Cubs into a world champion - has thoroughly prepared him for this job and distinguished him throughout our interview process," Elias said. Elias and Hyde will seek to develop a team that shifted into rebuild mode last July under Duquette, who traded away many of the team's stars - most notably Manny Machado, Zach Britton, Jonathan Schoop and Kevin Gausman - for 15 prospects and International bonus pool money in moves that cut payroll from $151 million to $136 million.